I purchased this lipstick in Monoprix in France last week and this shade has fast become one of my favourites in my collection. It's such a beautiful pink, perfect for an everyday makeup look or an evening out! I tend to be such a creature of habit with my lipstick shades, always sticking with nudes so I'm glad that I stepped out of my comfort zone. What I find most impressive with this product is how long lasting it is! 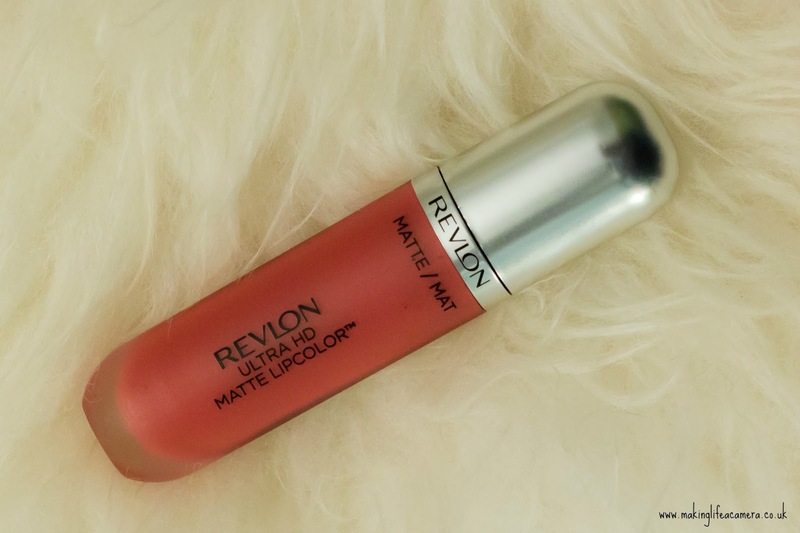 With my MAC lipsticks, the colour fades away after eating or drinking but I don't even have to reapply this one afterward - Revlon is also a much more affordable brand! The shade I have is 600 however, come summer, I will probably be popping into Superdrug for some more! The applicator makes the product very easy to apply without a lip liner. It goes on your lips as quite glossy but drys to a matte formulation which isn't patchy! Also, on a side note, the lipstick smells amazing - if that is a considerable factor when you purchase a beauty product?! Have you ever tried out this lip colour collection? I saw these recently and was so close to picking them up !! I love the shade you've picked up too lovely!! They are gorgeous! Will definitely have to pick up more! Yeah, they honestly live up to the rave! This packaging is so gorgeous! Ooh that sounds lovely! Same, I'm wearing more pinks this Spring/Summer!